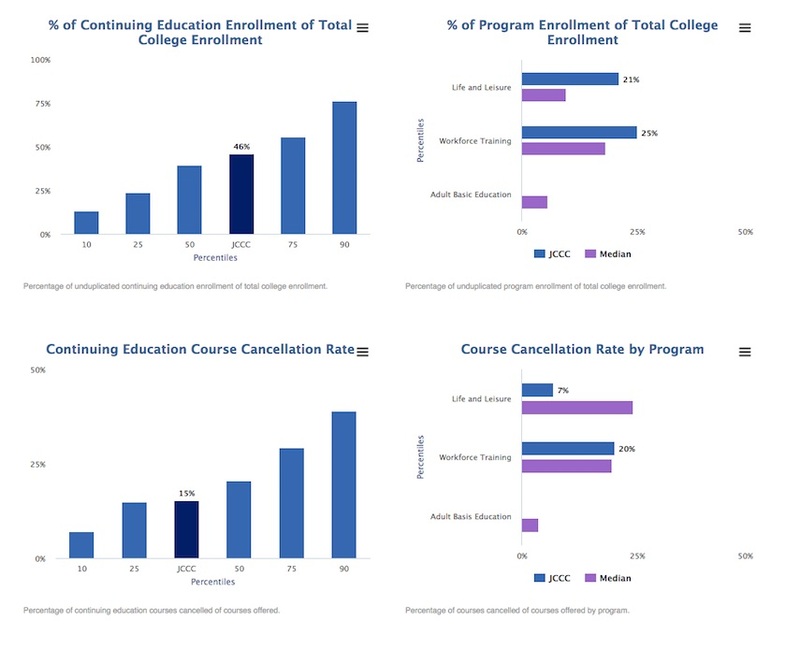 The Non-credit Continuing Education module provides community colleges with nearly 100 non-credit national metrics to express their continuing education division productivity and successes to internal and external stakeholders. Workforce Training and Continuing Education divisions across the country are under pressure to demonstrate their effectiveness. Divisions strive to establish a culture of evidence in which indicators of performance are regularly reviewed and data are collected to inform decision-making, planning, and improvement. This Benchmark Project offers community colleges consistent measures to express non-credit education and workforce training efficacy. The Non-credit Continuing Education module was developed by the National Higher Education Benchmarking Institute at Johnson County Community College with input from over 20 community colleges across the country. It is a national initiative to collect standardized information from community college continuing education divisions. NCCBP has been a valuable resource for analyzing regional data. The institutional ranking and percentile comparisons identified significant economic challenges facing our students. Currently, we are using the data as a foundation for formulating regional policy to address these issues.